Mariann Wollmann Magga lives with her family in Bjørnevatn outside Kirkenes. She is a reindeer herder, a Sami politician, and a data entrepreneur with the company Rein Data. 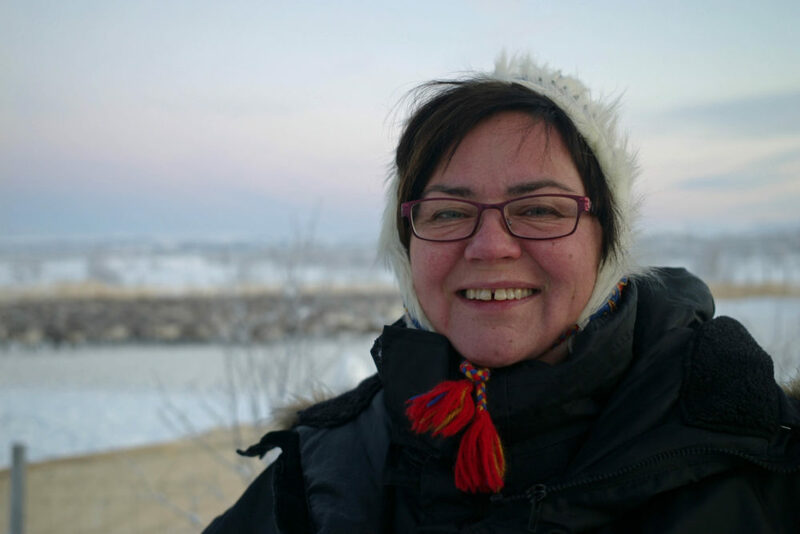 As a reindeer herder, Mariann is cautious about the development of the petroleum industry and their quest for land based facilities in the area. This might jeopardize traditional areas for the reindeer. For her family, the reindeer herding is the very foundation for culture and language. Reindeer migrate from inland to coast, and move over vast areas. The land that has traditionally been a scene for these movements is now drawing the attention of investors and entrepreneurs who want to take part in “the new oil and gas adventure”. The future of the north thus holds a conflict of interests between those who have used the land in traditional ways, and those who wish to use it for industry purposes. For Mariann and many others, this is seen as a threat to their very existence as Sami people. Reindeer herding, and the different outcomes of nature, is for Mariann a natural basis also for the Sami culture, language and traditions. Seeing how this culture is marginalized, Mariann chose to engage politically, and has been a member of the Norwegian Sami parliament. She has also been highly engaged in Sami children’s right to learn their own language in kinder garden and school. Mariann herself has been learning the North Sami language as a grownup, since her parents found it wise not to pass on the language in a Norwegian context. At that time, it was said that bilinguality would damage the cognitive development of the child.